We’ve been here a hundred times before, preparing to ‘refresh’ the page that is our government. Problem is, we generally do not ‘refresh’ anything…we simply move the same names to different seats in the process. This contributes to the sense of ‘entitlement’ that constitutes Hillary Clinton’s entire Presidential campaign. It’s the “It’s MY turn!” syndrome embedded into the political process, and it has only been accelerated by the imposition of term limits. This has made our governments more a game of ‘musical chairs’ than an exercise in self determination. I have been preaching for years that the MOST important election in any given cycle IS the primary. Nothing changes, if nothing changes. 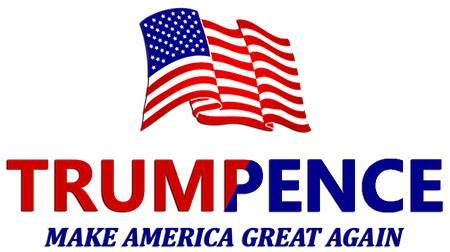 Yet there seems to be a change in the election atmosphere this time, Donald Trump is living proof. In Michigan tomorrow, we have a chance to extend this phenomenon of voter angst to our legislature, and to Congress. Primaries are notorious for lack of voter turnout, meaning a much smaller segment of the population determines who will be on the November ballot. Nothing changes if nothing changes. Voters have a habit of simply tagging a name they recognize, without any thought to the person or politics behind that name. This has given us the financial and economic mess we find ourselves in now on a local, state, and national level. More of the same in different seats equals more of the same in different levels. We cannot effect change in our government without changing the people who are in it. We must undergo a background check to purchase a firearm, yet most folks don’t require a background check of candidates before they vote. We DO get the government we deserve, but do our kids deserve the government we have given them? Nothing changes if nothing changes. The time has come, and it begins with tomorrow. Know whom you are voting for, do your homework. The responsibility for the future lies squarely in our hands, it is our DUTY and responsibility to know who and what are governments are, and remind them on occasion that they do indeed work FOR us. These same people have changed the Recall laws to make it virtually impossible to ‘fire’ them, leaving us only one option…vote them out! Sending career politicians from one level of government (which they have participated in screwing up) to ‘fix’ the next level is the textbook example of Einstein’s definition of insanity. Tomorrow determines the direction of Michigan’s governments at all levels; more of the same, or will we begin to take back control of our own future? VOTE!! !…Take your friends with you, know your candidates, make the ‘unknown’ name on your ballot a real individual in your own mind, and toss out the liars and thieves that promise to represent ‘the people’ while making careers out of representing themselves. Recall language against Senate Majority Leader Arlan MEEKHOF (R-West Olive) was filed with the Secretary of State’s office for the leader’s support of the higher gas tax and the vehicle registration fee bills that came with last month’s $1.2 billion road funding package. 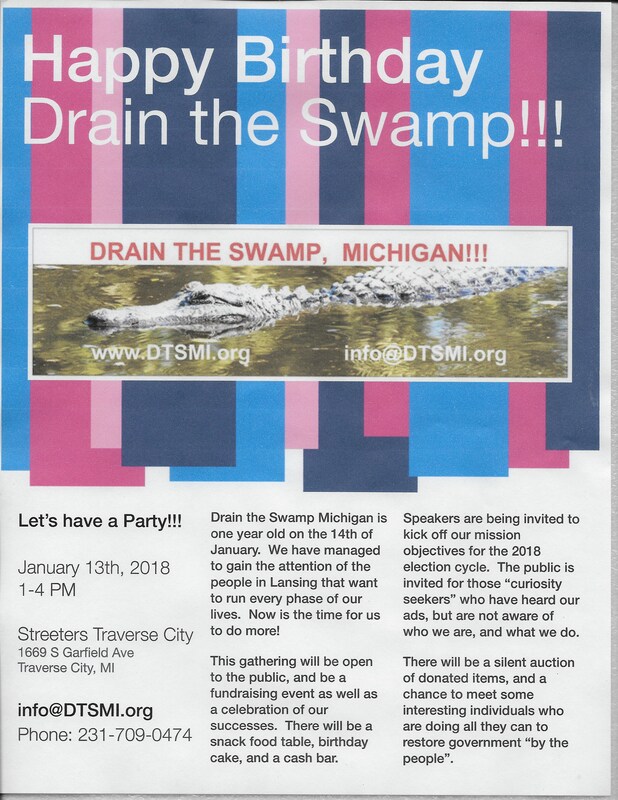 Frank BOERSMA of Holland, an alleged political independent, is receiving assistance from the grassroots conservative group, iCaucus, led by Tom NORTON. 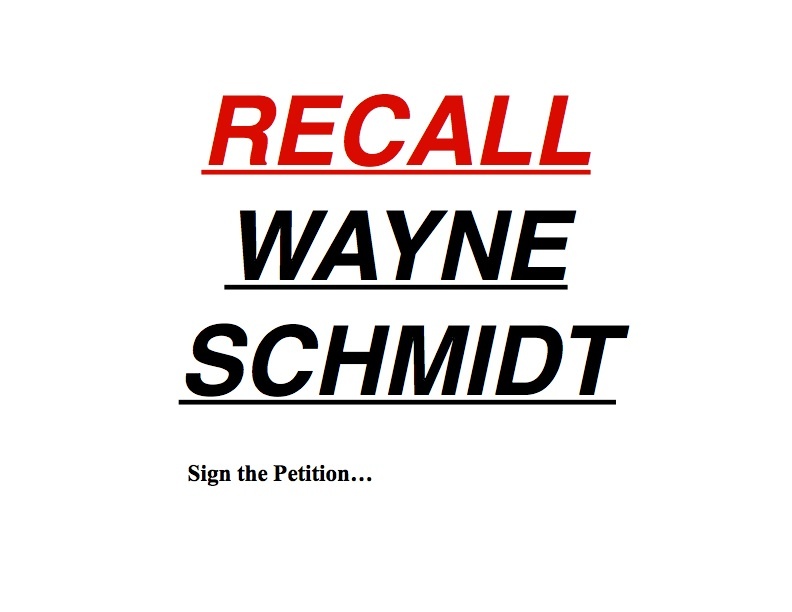 The same group is advising a recall attempt in Traverse City against Sen. Wayne SCHMIDT (R-Traverse City) over the same votes for the transportation package. The Board of State Canvassers are tentatively scheduled to meet at 1:30 p.m. Nov. 29 to discuss this and re-filed language on the Schmidt recall, which canvassers rejected on Dec. 14 (See “Schmidt Recall Petition Language Batted Away By Canvassers,” 12/14/15). Schmidt’s newly proposed language reads nearly identically.